R. S. Johnson Fine Art is celebrating its fifty-sixth year in its spacious Michigan Ave. gallery. 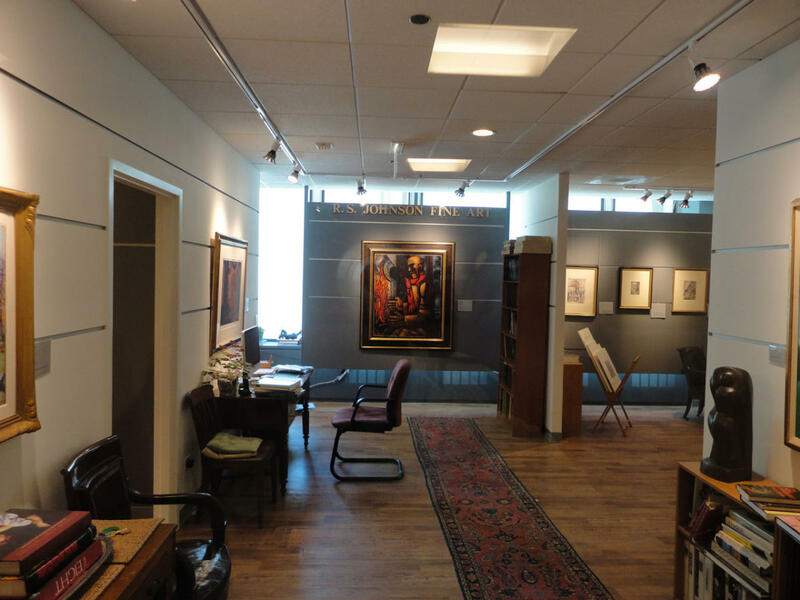 The gallery specializes in museum quality works ranging from Old Masters to Impressionism and Modernism. Featured artists include – Dürer, Rembrandt, Piranesi, Goya, Cassatt, Matisse, Léger and Picasso. Over the decades, R. S. Johnson’s expert staff has produced more than 160 scholarly catalogs and books, ranging from Old Master prints and drawings to the art of the nineteenth and twentieth centuries. These publications are respected internationally for their research and art historical contributions. Indicative of the quality of the works shown as well as the gallery’s academic nature, sixty-one museums have acquired artworks from R. S. Johnson Fine Art. Recent acquisitions by museums include purchases by the Metropolitan Museum of Art and the Museum of Modern Art in New York, The Art Institute in Chicago, The National Gallery of Canada and the Musée d’art et d’histoire in Geneva, Switzerland.